Your roof is one part of your home that requires quite a bit of maintenance. From repairs to inspections, the only way to ensure that your roof is in prime condition is by staying on top of the maintenance that it requires. Without the help of a roofing contractor, it can be tough to know what exactly your roof needs. This is why inspections are so important. Most people think that the only time to schedule a roofing inspection is during the warmer months of the year, but that’s not the case. In fact, roofing inspections that take place during the winter are equally important. Keep reading to see what makes winter inspections such an important part of roof maintenance. When people see a minor issue with their roof, they let it slide or put it on the back burner because they don’t feel that it’s doing any serious damage to their house. The reality, however, is that minor issues can quickly turn into some serious problems. In the winter, when snow is falling and melting, you have to worry about any small crack or opening leading to water damage. The more exposure that your roof and structure get to these harsh elements, the bigger of a problem it becomes. Make sure that this isn’t the case for any of the issues that you think are small enough to let slide. Have a roofing contractor let you know how serious the issue at hand is. Colorado is well known for having plenty of snow and a variety of weather conditions. The cold that your roof is exposed to can lead to some serious issues for your roof. From the way that your roofing materials react to the cold to the pressure that cold elements put on your roof, there is a lot of damage that can happen something as simple as low temperatures. 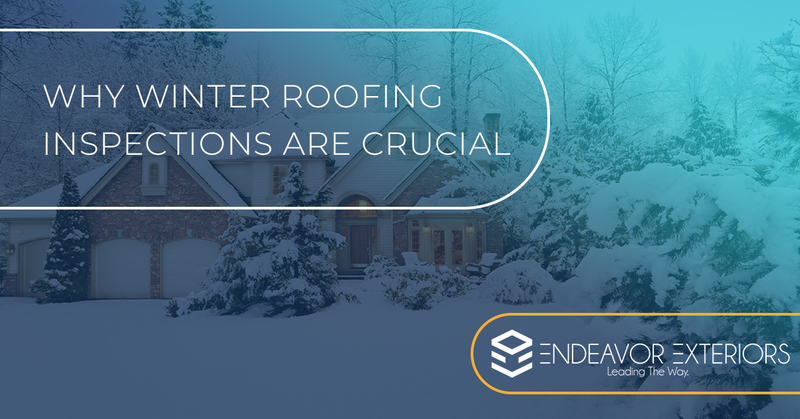 When you factor in snow and the moisture that it adds to your roof, there’s even more damage that could be happening to your roof. All too often there is a build up of weight on a roof that goes entirely unnoticed until it becomes a bigger picture. Rather than let that be the case for your roof, have a professional stop by and inspect your roof so that you know the condition of your roof before any bigger problems come into the picture. The last thing that we’re going to talk about in regards to cold elements and the damage they’re capable of doing is also going to cover debris. When snow builds up on branches that are hanging over your roof or are close to your gutters, you could wind up with a branch that is weighed down by the snow that later falls on your roof. Often, people just brush the debris off without giving second thoughts to whether or not the branches did any damage. If this happens to your home, make sure that you have your roof inspected because there could be underlying damages that happened when the branch fell. Your roof is being held up by durable and strong support beams. These beams are designed to hold the weight of your roof and everything that it has to deal with, but when little damages go uncared for, your roof and the beams that support it, pay the price. If your roof starts to suffer from water damage or is hurting from having to hold too much weight, you could wind up with beams that are also damaged. While a roof is an expensive cost on its own, adding maintenance or repair of your support beams is going to be an even bigger cost. This is just one example of how a small problem can turn into something larger and far more expensive. Endeavor Exteriors has provided the Denver area with high-quality roofing services for years. Our roofing contractors have years of experience and a desire to provide nothing but the best for the individuals that you work with. If you have any questions about your roof or you’re looking to schedule an inspection, reach out to our team today. We want to ensure that your roof is in good condition for the rest of the winter and years to come. Whether you have an idea that something is wrong with your roof or you’re in need of repairs so that these smaller problems don’t turn into something bigger, our team can help. Don’t wait any longer — reach out to us now so that we can get your roof taken care of!